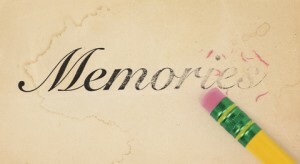 Memory is an essential part of what it means to be human. For example, do you remember Lincoln’s Birthday and Washington’s Birthday? I do. But now we observe the meaningless Presidents Day, which is merely a day off work or school. For many years, the seal of Los Angeles County included a tiny cross to signify that Franciscan missionaries founded the town. Then threats of a lawsuit by the ACLU caused the cross to be replaced by a “mission.” But the image of this building has no bell or anything else to distinguish it from a barn. It represents nothing. It reminds us of nothing. And when a reporter asked Speaker Pelosi what part of the Constitution empowers the government to control the health care of all Americans, she replied, “Are you serious?” – while giggling. What do you call it when people forget their past and lose their identity? What do you call it when people laugh inappropriately about serious matters? You call it national Alzheimer’s. And what do you call it when the government borrows colossal sums of money, burdening our children and grandchildren with monstrous debt, to do whatever it wants? You call it loss of freedom. Or you would call it that if you could remember what freedom means. America is a recent invention. Its population is still shifting because of immigration. Unlike most nations, America is an idea. To define America, one can’t point to an ancient land with a stable population. To define America, one must refer to the ideas on which it is based. But are we trying to preserve these ideas and pass them on to the next generation? Or are we doing our best to eradicate these ideas from our collective memory? Are we undermining the foundation of our country? Are we inducing national Alzheimer’s? When I was in grammar school, we pledged allegiance the flag every morning. We learned patriotic songs for national holidays. We enjoyed Christmas and Easter vacations, not winter and spring breaks. The vast majority of Americans, and all of the Founders except Thomas Paine, identified themselves as Christians. In junior high, we had to memorize the Gettysburg Address, the Preamble to the Constitution, and the first and fourth verses of “The Star Spangled Banner.” The first verse comes in handy at sports events, and the fourth mentions (gasp!) God. If you want to learn how a house is constructed, first study the foundation. In high school, we had to take American history and civics, not “social studies.” We learned about the great people and great events of our history, and (to a lesser degree) some of the unhappy events. We learned how a bill becomes law, and about the powers of the President and the Supreme Court. In high school, and especially in college, we were encouraged to express our ideas freely, so long as they were not overtly offensive. The notion of “politically correct” speech, “trigger warnings,” or “safe spaces” would never have entered our minds. We knew enough European history to understand how fascists took over German and Austrian universities as an early phase of taking over the countries. But more than that, I loved movies. I saw “Edison the Man,” the story of the great inventor. I saw “Sergeant York,” the story of how a pacifist farmer learned that violent evildoers had to be opposed by force, then went on to earn the Medal of Honor. I saw “They Died With Their Boots On,” a fictional account of General Custer, but I learned that he played a key role in the Civil War, which is more than today’s kids know. I saw “Boys’ Town,” the story of Father Flanagan’s orphanage. And there was “The Fighting Sixty-Ninth,” depicting Father Duffy’s role in this New York unit’s World War I exploits. So when we passed his statue in Times Square, I may have been the only one on the tour bus who knew who he was – not bad for a Jewish guy from North Dakota. You see, I was brought up to be an American. Then there were the John Ford films of the West, where the U.S. Army was depicted in a sympathetic (perhaps too sympathetic) light. I saw depictions of Abe Lincoln and other great Americans. I was being entertained at the movies, but I was also being exposed to my country’s past. ● Today’s kids are pilloried and sent death threats for merely standing on the sidewalk, waiting for their bus, while a man beats a drum in their faces, and a racist group screams obscene insults. Instead of admiration for their restraint, they are asked why they didn’t walk away. Teaching young people restraint is one thing; teaching them to retreat from obnoxious aggressors is quite another. If there is a lesson more destructive to a free nation, I have yet to hear it. ● Today’s kids may not be able to read cursive writing, tell time on an analog clock, or make change. Then how do we expect them to earn a salary sufficient to raise a family? ● Today’s kids read history books that describe America’s past as questionable at best, and evil or genocidal at worst. ● Today’s kids mumble a few words of the first verse of the National Anthem at ball games. Forget about the fourth verse, the one that mentions (gasp!) God. That is no longer politically correct. ● Today’s kids are taught that the first Thanksgiving was to thank the Indians, not God. ● Today’s kids are taught that the Founders were deists, not really Christians – if religion is mentioned at all. 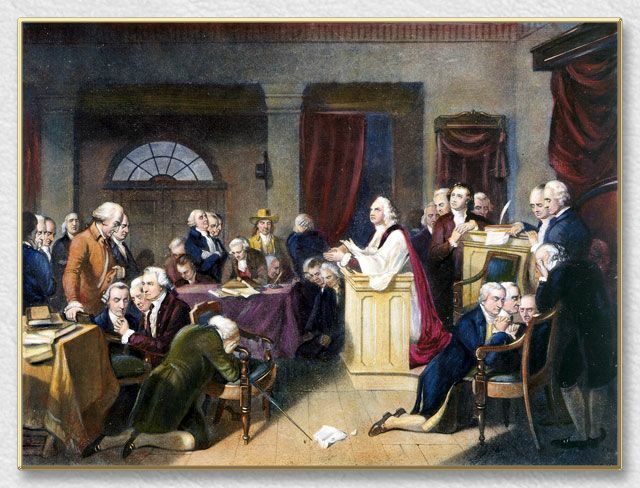 Kids never learn that Washington knelt in prayer at the start of the Continental Congress, or that Jefferson attended Sunday services held weekly in the Capitol. ● Today’s kids identify Grant as the man on the $50 bill, but not the man who led the Union to victory and thereby ended slavery. ● Today’s kids see movies depicting our leaders as scheming warmongers (from “JFK” to “Spartan” and the “Bourne” series), and our military as psychopaths (from “Seven Days in May” and “Platoon” to “The Rock” and “The Hunted”). “Fahrenheit 9/11” and “Vice” were merely two in a long series of anti-American films. But people all over the world see these films. Who knows how many terrorists were stirred up by them? 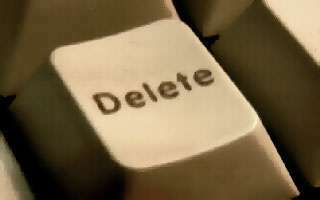 Self-criticism is constructive; self-hatred is destructive. ● Today’s kids see clergy depicted as morons or molesters, if they see them at all. They never heard of Father Flanagan or Father Duffy. ● Today’s kids, and even law students, are taught that the Constitution is a “living document.” That is, it has no fixed meaning, and means whatever a judge says it means today. Next week it may mean something else. In effect, students are taught that we have no Constitution and are ruled by judges. ● Today’s kids, especially university students, are restrained by speech codes, trigger warnings, and safe spaces – that is, zones that are “safe” from conservative ideas, but not safe from leftist bullies. How safe is that? The current generation of Americans was taught little of their nation’s history. And what they were taught was often negative. What they saw in movies only reinforced this negative impression. No wonder they view America with ambivalence at best, and hostility at worst. Are “Taliban” John Walker Lindh and “Al Qaeda” Adam Gadahn aberrations, or the tip of the iceberg? Time will tell. If 3000 Americans are murdered in a terrorist attack, we must not go to war unless we pass a “global test” of being able to “prove to the world that we did it for legitimate reasons.” But some nations are openly hostile to us, and a majority of U.N. members are undemocratic. Some Middle Eastern people danced in the streets on 9/11. How do we pass a “global test” if a “world community” like that grades our paper? A U.N. including North Korea, Iran, Syria, Saudi Arabia, Sudan, and Zimbabwe resembles the Mafia more than a “world community.” Life-and-death decisions would not be made by our elected leaders, but by a vote of the rulers of undemocratic nations. If I need to defend my family, why must I get permission from the likes of crime bosses? Many Americans have no memory of our Judeo-Christian roots, and no idea of what the Founders had in mind when they created our nation. Such people have national Alzheimer’s. But they didn’t develop it on their own. It was induced by our educational system, our media, and our film industry, which have been taken over by leftists. If you want to bring down a nation, you need not subvert the military and stage a coup. You need not incite a bloody revolution. You need only take over the schools of education, journalism, and film, and wait a generation or two. The anti-American, anti-capitalist, anti-Judeo-Christian schools, media, and films will wipe away all memory of our past glories and our past ideals. If you want to bring down people who are defined by their ideas, destroy the ideas. If you want to bring down a society that is sustained by its history, induce national Alzheimer’s. But be aware that this is a dangerous disease from which the patient may not recover.